books provide busy general practitioners with quick access to everything they need to know about the latest diagnostic and treatment trends in important clinical categories. 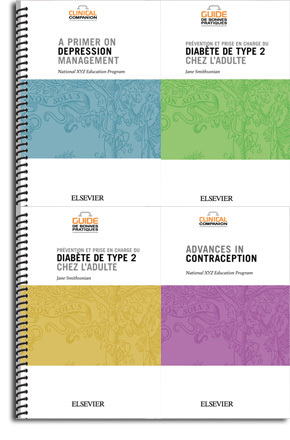 The Clinical Companion/Guide de bonnes pratiques series is produced in English and French. Each edition is exclusive and can be totally customized, with corporate/product branding and precisely targeted distribution.